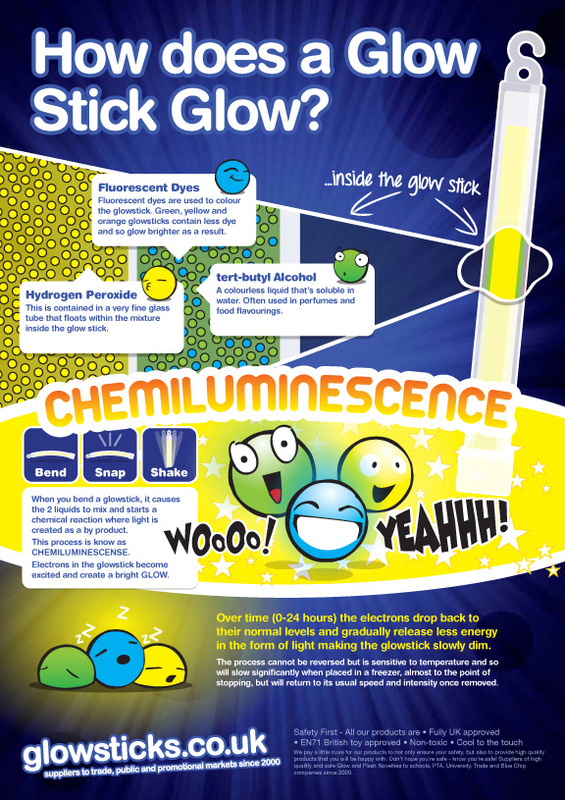 Home » How Do Glow Sticks Work? How do Glow Sticks Glow? So how do glow sticks glow? 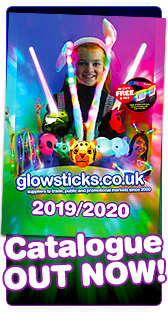 Glowsticks are a very popular glow party item but they are also extremely useful for camping, diving, emergency lighting, outdoor entertaining, promotions and events. 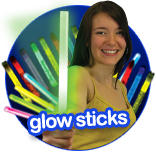 We at Glowsticks.co.uk supply a wide range of high quality UK certified glow products - BUT HOW DO GLOW STICKS WORK? Glow sticks come in all shapes and sizes. 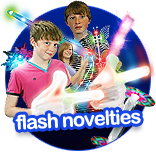 From the original 6" taper glow sticks to glow bracelets, necklaces and are even made into products such as cups, badges, straws and more. All of these products work in the same way. But how do glow sticks glow? Chemiluminesence is a chemical reaction that causes a release of energy in the form of light. All liquid glow products depend on a chemical process known as CHEMILUMINESCENCE to produce their light. Chemiluminesence is a chemical reaction that causes a release of energy in the form of light. To produce this light the electrons in the chemicals become excited and rise to a higher energy level. To utilise this process glowsticks contain two liquids; hydrogen peroxide and tert-butyl alcohol. When mixed together it is these liquids that create the glow. Fluorescent dyes are also used in the alcohol to alter the colour of the light emitted. When the stick bends, the glass vial breaks allowing the two liquids to mix together. One of the liquids is contained in a very fine glass tube that floats within the mixture inside the plastic glow stick product. This is why you must bend a glow stick to make it start glowing. When the stick bends, the glass vial breaks allowing the two liquids to mix together. The chemical reaction begins immediately resulting in a bright, fantastic glow. How long does a glow stick glow for? The duration of your glow stick’s glow will vary depending upon the type of liquids used, the exact composition and also the quality of the liquids inside. Temperature also affects the intensity of the glow - the warmer it is the brighter the glow but this shortens the total glow duration. The colder it is the glow stick will glow less but will glow for a longer duration. You may have heard that you can preserve or even re-charge your glow stick by putting it in the freezer. You can’t re-charge it as the process cannot be reversed but cooling a glow stick will slow down the reaction taking place inside - it may even almost stop the process so you can place them in the freezer for one week and when they de-frost they will start to glow again. How do glow sticks glow? That's how!